A diamond can be a girl’s best friend, as the famous saying goes, but it can also be her worst enemy. If the stone turns out to be a fake and you don’t know how to tell if a diamond is real, a girl’s world can come crashing down around her. The knowledge to detect a fake diamond seems like something only a professional gemologist or jeweler would or should need to know. Believe it or not, there are too many con artists out there trying to sell you a piece of plastic or glass, claiming it is a valuable stone. In fact, not too long ago, a very thoughtful woman gave her daughter-in-law-to-be a beautiful 2-carat diamond engagement ring only to come to the devastating discovery that it was worthless. Buying diamonds is unlike any other purchase you will ever make. You are buying a rare commodity that is in high demand, which can go for very steep prices. In order to prevent such a horrible scenario, you need to take precautions and become educated in regards to markers pointing at a true diamond. So, we decided to specify a few points that might help. 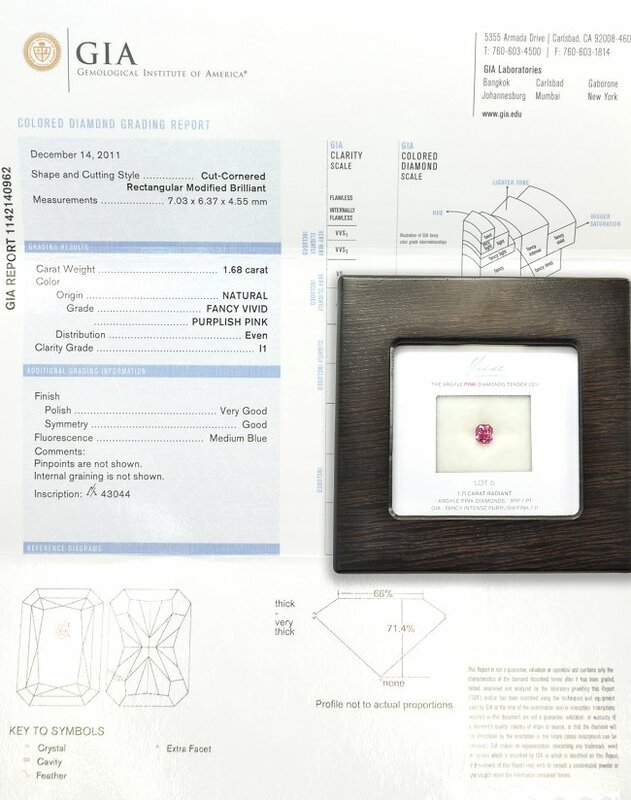 First and foremost one should always request the proper certification for any potential diamond purchase. 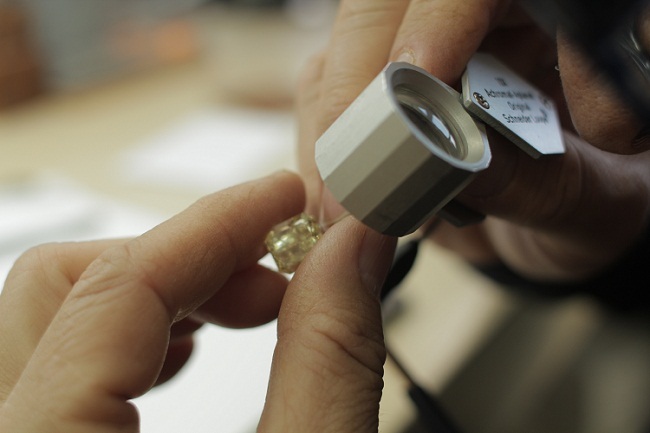 A grading authority such as the GIA, IGI, AGS, as well as an independent appraiser who is affiliated with a professional organization, are the best sources to use as a basis for a diamond’s authenticity. Some of the best diamond imitations have even succeeded in fooling diamond experts, so using your eyes alone to determine whether or not a diamond is real can be tricky, but it can be done. If a diamond is mounted, you should not be able to see through to the bottom of it, if it is in fact a real diamond. 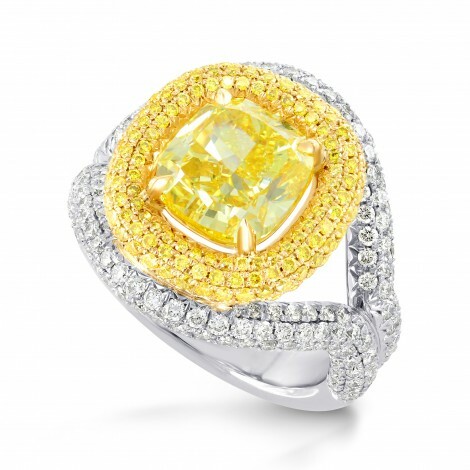 The reason is simply because of the way the light passes through the many facets of the stone. If an unmounted diamond is placed face down upon a newspaper, you should not be able to see the writing, and if you can – it’s a problem. Only rarely, when the cut is disproportionate, can one see through a real diamond. But, since this is rare, if you can read the text, or see through to the setting, bring it in to have it checked. A diamond’s reflection says a lot. A real diamond will reflect in shades of gray. If you are seeing rainbow colors, the diamond is likely a fake. Glass will shatter when brought close to a heat source whereas a real diamond will be left unharmed. 5. Does it Fog up? Another really quick way to detect a fake is whether it fogs up. 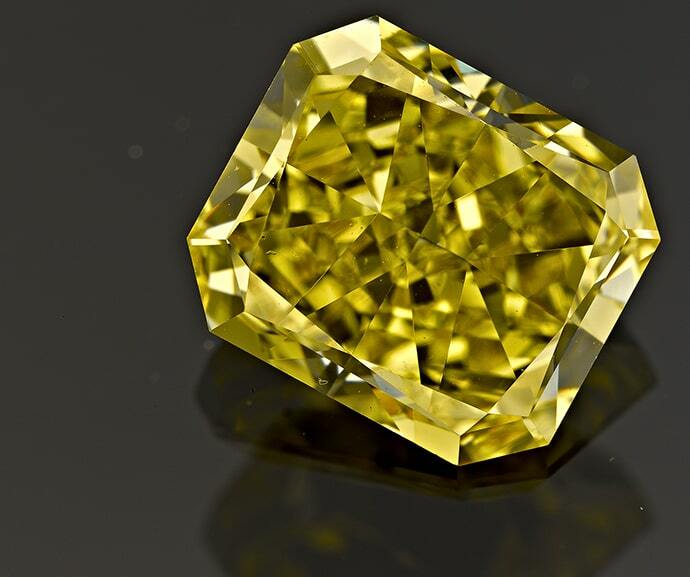 Similarly, a synthetic stone will not be able to absorb heat, and so, by simply breathing on a diamond you will be able to know whether it is real or not. A real diamond will fog up for a while whereas a fake diamond will not be affected at all. Two other simple and quick ways to tell a real diamond from a fake one is by looking at how it sparkles in light and how much you can see through it. A real diamond appears gray and white inside (brilliance) when held to the light and can reflect rainbow colors (fire) onto other surfaces. A fake diamond will display rainbow colors within the stone when held up to light. While this is not a foolproof method, it applies most of the time. If the diamond is set, check to see if the metal of the ring you are looking at is a poor quality metal such as one with a ‘C.Z’ stamp, it is most likely that the stone is not real. On the other hand, rings made with 10K, 14K, or 18K gold or that are marked 585, 750, 900, 950, PT, or Plat, are probably holding real diamonds. While a cubic zirconium can go unnoticed in an X-ray, a real diamond cannot. If you have it X-rayed and the stone does not appear, it is not authentic. This method might sound somewhat frightening, but keep in mind that diamonds are the hardest natural elements found. You can physically rub a diamond with sand paper and the stone will appear as if it was untouched. If you notice any damage to the stone, it is likely a fake. However, I will be honest. Although I believe this is true, I have never personally tried this method. If you are super brave, let me know what happens, because there is no way I am sanding down my diamond, fake or not! Well this one will only work if you have access to a cubic zirconia, a substance often used to replace real diamonds, of a similar size. Interestingly enough, a diamond weighs less than a cubic zirconia. If your stone weighs 55% less then what the cubic zirconia weighs, yours is a real diamond. If it weighs the same, it may very well be a fake. Unfortunately, just like in every other industry, there are scammers who are after easy money. As time goes by there are more and more imitations, but there are also more ways of detecting them before it is too late. Go only to jewelers who you trust, or have qualified reviews proving they are who they claim to be. 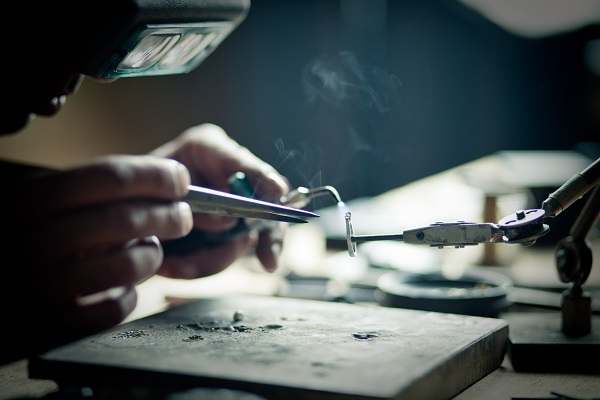 Aside for the tips mentioned above, it is also possible to purchase a loupe from a jewelry store or to borrow the one on site and to briefly study a diamond through this tool. A real diamond will generally have some imperfections while a fake one will appear completely perfect. Familiarize yourself with what the common imperfections are that appear in diamonds and ask the jeweler any and all questions that you may have. By educating yourself prior to purchasing a diamond you will be protecting yourself from financial loss and emotional strain. In the long run, it is worth the effort.